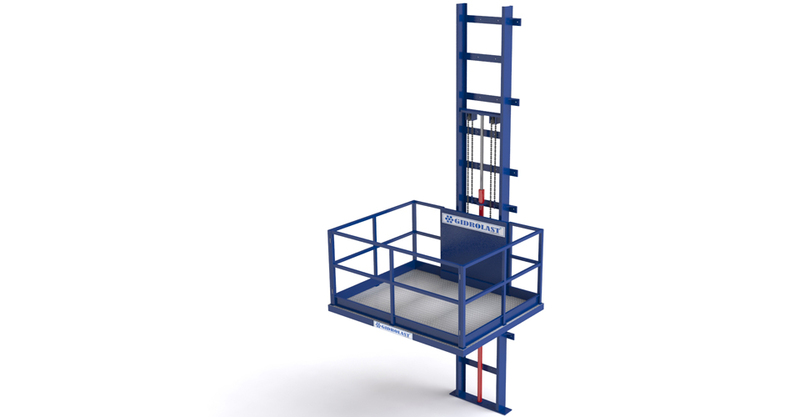 Gidrolast‘s L lift is an electro-hydraulic vertical goods lift designed for the transportation of goods to various underground or above-ground levels with capacity from 300 (660″) to 2,500 (5,500″) Kg. Type L has a wall-mounted load-bearing structure constructed from special structural steel beams in which combined bearings slide. The platform is driven by a hydraulic cylinder with double-chain transmission. Gidrolast L can be installed wherever you need to store containers, pallets, crates, boxes and other heavy goods on various levels, such as mezzanines or wine cellars. As well as in private storerooms or industrial and commercial warehouses, the goods lift can also come in very handy for domestic use. Normally, Gidrolast’s L goods lifts are fastened to a suitable load-bearing wall. What’s more, depending on the model, they require only a very small pit. 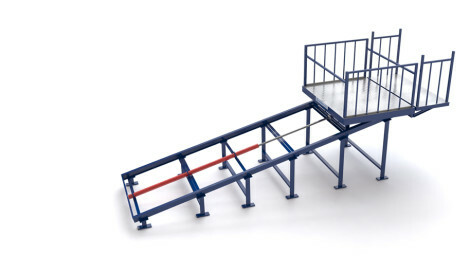 The main feature of the type L goods lift is its ease of installation. The modular structure and the simple sliding-guide system mean that installation takes just a few days. 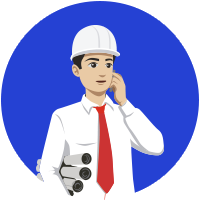 The simplicity of the lift does not mean that any compromise has been made regarding safety devices! 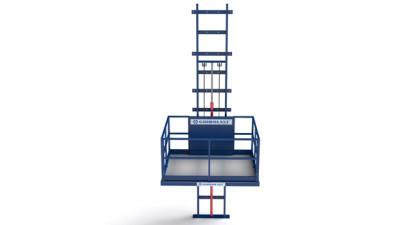 Gidrolast’s goods lifts meet all the requirements to guarantee the safety of the user and the load. All lifts comply with Machinery Directive 98/37/EC. 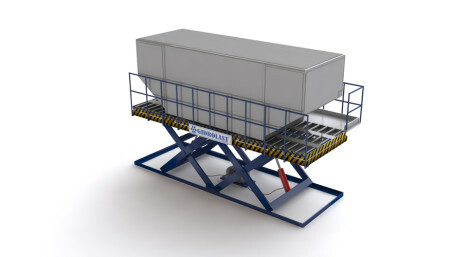 The goods lift can be supplied in customised sizes with a simple platform or equipped with large cabins and doors. Platform guides normally face upwards, but on request they can be fitted downwards so as to prevent the load from protruding above the surface.